Initiatives like the local SkillsFuture programme will help staff to gain new skills, but it is only by combining them with skill audits that staff potential can be leveraged upon fully. 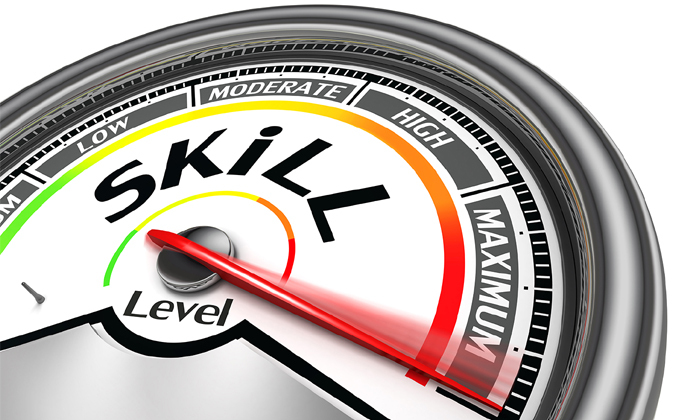 Cynthia Stuckey, Asia Pacific managing director of The Forum Corporation lists ways to perform an effective skills audit. To help Singaporeans take charge of their own career progression to move up the value chain, the government recently introduced a lifelong re-education measure called SkillsFuture to help them gain new skills throughout their careers. It is worth noting that SkillsFuture enables individuals to make autonomous decisions regarding the type of courses they think will help grow their careers. However, business and HR leaders play a key role in ensuring employees maximise SkillsFuture and other development opportunities to achieve their personal growth targets and align individual learning goals with that of the organisation. Organisations have untapped talent at all levels. To this end, it’s important for companies to undertake a skills audit or a review of the employees’ soft and hard skills as part of the performance appraisal process, and define the critical skills and roles that have the greatest impact on the business strategy. Companies need to assess the skills of their talent pool related to the strategy to identify capability gaps that need to be addressed, combining new or existing internal training programmes and external enablers like SkillsFuture. Skills audits are also critical as organisations tend to promote people who excel at their present roles but are often not aware of the gap in skills required to perform advanced or new roles. At Forum, we have seen many cases where people are individual contributors and effective at their role, but they also have a gift of leading or coaching others. However, without formal skill audits or systems to collect this information, talent and skills are not leveraged. Organisations have untapped talent at all levels. A range of skills lie dormant right in front of organisations – but the important question is, are these skills the ones need to drive a business and its growth strategy? Assessment design: There are many pre-designed tools available on the market but companies may want to adjust the instruments to align with specific behaviours or competency modelling. Communication and development planning with employees is critical, as well as a regular loop back to ensure accountability that the plan occurs. Distribution: Whether through a single-rater, 180 or 360 assessments, or interview or scored test, there is usually a measurement instrument and individual assessment involved in rating employees’ skills. Reporting of results: Results from the skills audit (individual, group, by business unit, or role), and organisational gaps or performance issues can be summarised. Review and analysis: Often the data needs to be analysed whether it be for individual performance/gaps or organisational input to take action on. Documentation of results and plans: For individuals, management, departments, etc., this is needed to translate the information into action. Communication: Communication and development planning with employees is critical, as well as a regular loop back to ensure accountability that the plan occurs. Career paths development: Ensure employees are aware of their career path to enable them to better select development opportunities. Vital to success is documenting skills audit results and planning the training and development solution to address certain capability gaps. In today’s business world where change is the new constant, companies should have a holistic, long-term talent development programme that make employees highly adaptable and consistently productive. Allow employees to choose: Provide options with growth opportunities to let them decide what they feel the need to learn more. Companies need to help employees devise a training programme that is aligned with both individual and organisational goals. Hold regular dialogue sessions or ‘town hall’ sessions with employees about their training needs, why development is important and how corporate strategies manifest in these development plans. Ultimately, SkillsFuture is about providing employees with the skills to remain relevant in their fast changing workplace. But with these skills also comes increased confidence and an improved belief in the contribution they are making to their company, helping to lift productivity. Job loyalty is more likely to thrive in an environment where employees feel needed and see their contributions valued. Government training and development initiatives coupled with internal activities and programmes are certainly an effective way for leaders to make sure they have an engaged, future-ready and high-performing team. Do staff in Asia Pacific really value employee benefits? TalentCorp, EPF, NEM.io Foundation and NEM Malaysia provide their reactions to the focus on Industry 4.0, seniors and retirees, an..